🌸 Private weekly art classes! Every week we'll sit down and have a private class together. My classes are carefully planned to fit the student's individual needs so you can get the most out our sessions. This would be absolutely amazing! 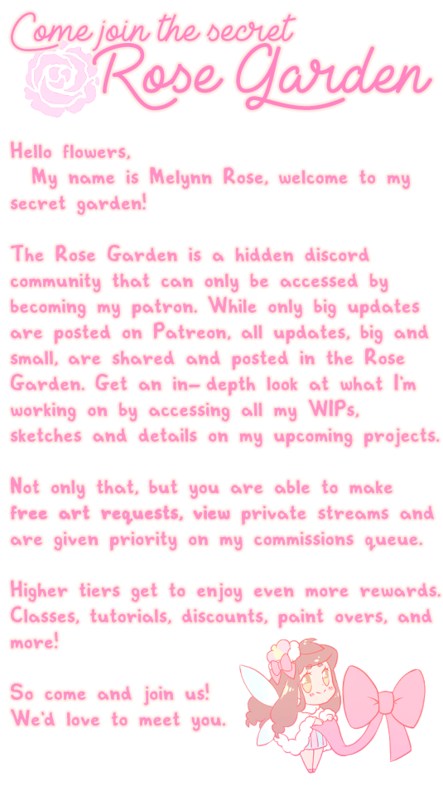 If I reach this goal, I can take less commissions and focus on my Patreon and other personal projects more (like comics, merch, maybe VNs, etc).